You must be using paper coupons for achieving discounts for the last few decades. The advancements of time and technology are now saving you the tedious task of cutting paper coupons and staying updated on valid coupons. The choice is up to you whether you’d like to spend your entire paycheck over your grocery every month or spend a few hours searching for coupons that ensure savings for your household. You may feel a bit confused when you count upon the benefits of digital coupons against the savings opportunities you lose while buying unwanted stuff. You may consider trying couponing for a month and see the difference. Keeping yourself above the stereotypes and finding the right coupons for your desired products may require some time as you often need to do a small research. You must identify how much time you can spend on such research and how much savings you’re likely to enjoy after your coupons get redeemed. Let’s take an example: Let’s assume it takes about 3 hours to get your coupons picked and arranged. Suppose you have an opportunity to save around $45. It gives out a clear indication that you’ll end up earning around $15 for each hour that you put on coupon researching. 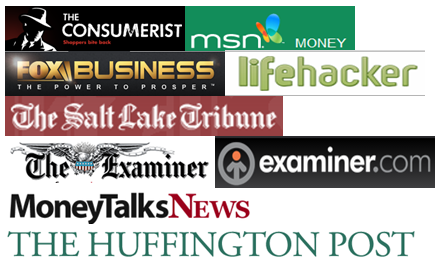 This way you may even end up saving more time if you opt for couponing websites like Couponsji. These sites are actually listing coupons coming from your favorite brands under their relevant product categories. It helps you save much of your search time as you find all offers of a particular brand under a single page. Is couponing really worth it? Prior to utilizing your savings opportunities, you must first consider whether you actually need the item that you’re going to purchase. Like any huge discount offer, groceries are bound to save you much out-of-pocket. But you won’t gain anything out of such offers if you don’t consume all items within a certain time limit. If they get rotten, then you’ll need to spend extra money to get them replaced. So, it might be riskier if you turn greedy! For achieving a real cost saving for your household, you’ll need to strike a balance between your hard-earned money and invaluable time. You won’t be saving much if you’re indulging in expensive shopping just for the heck of it. On the contrary, you might simply gain a pocket change if you succeed in developing some great dinner plans. Identify the sweet spot that turns you luckier and helps in dedicating a small amount of time towards picking online coupons every month or week. Check out options that help in cutting down your time. You may consider bookmarking a coupon site that lists your favorite brands before you place orders for things that are actually usable. Saving a couple of bucks shouldn’t turn you crazy about applying coupons every time you visit an e-commerce site. You must stay put to being internet savvy and optimize your opportunities. Lastly, when you use coupons you may save a lot of time by using smartphone apps rather than flipping through your mailers or store catalogs. 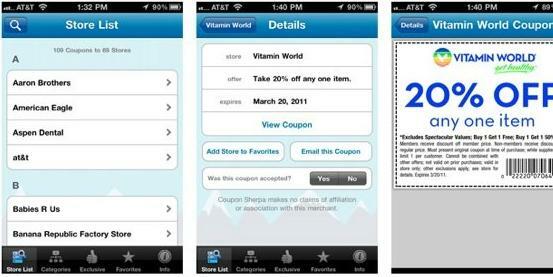 The same coupons are also available in couponing apps. I use retail me not and coupon sherpa a lot when I am shopping at malls.